The grocery store can be a confusing place—shelves are crowded with organic, natural, grass-fed, vegetarian-fed, no-hormones, no-antibiotics, sustainable, traditional, affordable, expensive, and specialized products. The variety of beef, dairy, eggs, poultry, and pork products is bewildering. But beyond the grocery store, all of these choices are brought to consumers by farmers. How are consumer demands impacting the farm? 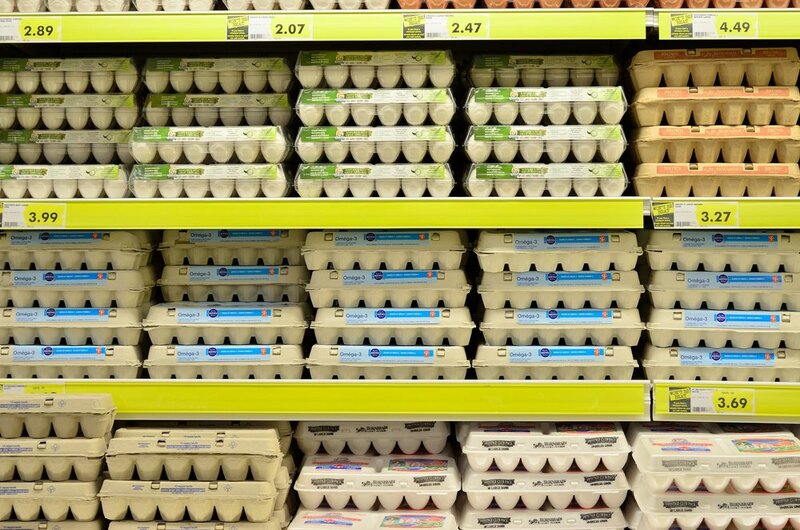 Big box stores and restaurants like McDonalds, Panera, Safeway, and Trader Joe’s (and roughly 100 additional companies) have made public pledges to only purchase eggs and/or chickens from cage-free sources. This demand gets passed on to the processors, who then require compliance from their growers. The cost to a farmer to change from traditional to cage-free can be staggering—the capital can require debt-funding and periods of reduced production on the farm while the conversion occurs. Then, of course, comes the question of whether consumers will really pay more for cage-free products. Cage-free eggs cost roughly twice as much at the grocery store, but farmers can make profit more per dozen, too. Before agreeing to go cage-free, a farmer or processor should contact their attorney to review any related agreements. The dairy industry has seen significant upheavals in the last few years. Fluid milk prices are down and there is more milk on the market than people will buy. Some companies, like Dannon and Walmart, are taking the dairy industry into their own hands by signing purchase contracts directly with dairies. This can be a lifeline in these tumultuous times, but at what cost? Because of pressure by activists and some consumers, direct contracts with retailers may require farmers to agree to various sustainability, organic, or antibiotic plans that are not a good match for the farm. You should carefully review any contract before you sign it. The pork industry has also faced changing consumer demands. In general, consumers today are interested in safe, affordable protein sources. Consumer trends show transparency, sustainability, animal welfare, minimal processing, and product differentiation are also important considerations. Hog farmers are responding by producing more pork with fewer resources. Farms are raising more pigs on less land with less water and other inputs. Farmers are telling their story—using antibiotics only when animals are sick, being conscientious environmental conservationists, and opening their doors (figuratively and literally) to their neighbors. Beef farms are in a slightly different position than other traditional livestock. The average U.S. beef farm is only 40 head of cattle—fewer animals than their pork, poultry, and dairy counterparts. Some farms are feeling pressure from consumers and packers to go all grass-fed, or to provide high-end breeds for high-end consumers. Activists may blame beef farms for contributing to climate change. Some farms are responding to these pressures by changing the way they raise cattle, while other farms have stuck to what works and relied on the traditional markets for beef. The theme running through all these farms is that in addition to satisfying federal and state regulators, farmers and processors are now adapting their practices to meet demands from consumers and retailers. Todd and I are giving a presentation on this topic in Portland, Oregon at the 2018 American Agricultural Law Association (AALA) annual symposium. More information on the AALA conference can be found here.